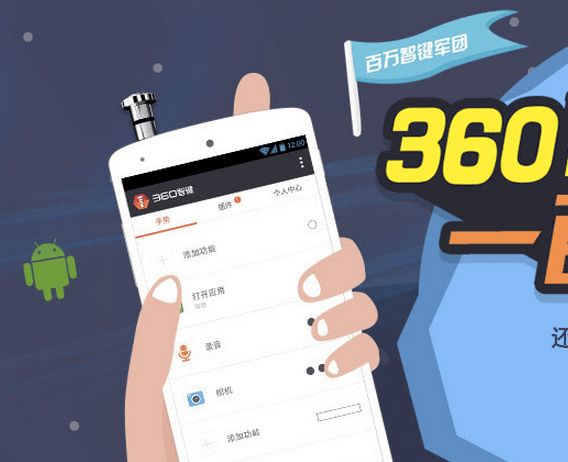 Qihoo 360, the Chinese online security and Internet service provider, announced yesterday to merge 360 Smart Button, the Pressy-like Android button developed by the company, and Quick Button, another Android button Qihoo reportedly has invested in, and give them away for free. Some one million buttons have been given away to college students since mid-August, according to the company. It reflects the theory of Zhou Hongyi, CEO of Qihoo, that you’ll figure out monetization sooner or later so long as you have a large user base. And the best way to gain users is offering quality products for free. Qihoo has successfully monetized its user base obtained through its free security service. When it comes to smart hardware, Mr. Zhou once commented that hardware products should be sold at cost and profits will come along with software. But back then he didn’t say they’d give away any hardware products. The causes must include (1) the costs of the two Chinese Android buttons are very low, and (2) the company is hungry for hardware users. As I wrote before, shortly after Pressy’s Kickstarter campaign drew much attention, Chinese companies big or small began developing their own Android buttons. Although Pressy didn’t believe they hadn’t had the real thing back then, several Chinese companies, including Qihoo, Xiaomi and Quick Button, would manage to develop products that at least work — Their functions or designs may not be so good as Pressy’s. And, what’s more surprising is the Chinese are way cheaper than Pressy. Previously Qihoo’s Smart Button was priced at RMB3.6 ($0.6), Xiaomi’s is for RMB4.9 ($0.8) and Quick Button was sold for RMB9.9 ($1.6). Pressy is priced at $27. Assume Qihoo’s was sold at cost. For a company like Qihoo, spending RMB3.6 million($600,000) for one million users doesn’t sound like a big deal. What’s more important is the one million Smart Button & Quick Button users would possibly adopt Qihoo mobile services, security app, its own app store, mobile search and so on. Like many other big Chinese Internet companies, Qihoo wants as many mobile users as possible. Today, software that can channel users of its free security service to other services isn’t enough. It is believed companies like Xiaomi are more powerful as they are able to pen users in with hardware. — Users are supposed to use all the default content/services or allowed third-party ones pre-loaded in mobile devices. Qihoo has tried out Android phones (by partnering with phone makers), Smart WiFi router and WiFi dongle. So far only the WiFi dongle is successful. It’s unknown whether the company was inspired by the dongle, but it seems Qihoo has decided to gain the user base needed through smaller gadgets. Also, so long as users like any gadget of yours, either a smartphone or an Android button, more content or services can be added onto the software layer. Qihoo’s Smart Button plans to introduce 100 apps. Evernote (Chinese version), Taobao and Dianping have been integrated. It sounds like Qihoo expects it to be a platform for all types of services.